The primary role of clothes is to shield people from cold and rain. Throughout history, the function of clothes has evolved, including the aesthetic aspect, and much more recently a new generation of clothes has appeared, namely Smart clothes. In the 19th century, designers and engineers began combining electricity with clothes and jewelry, so illuminated and motorized necklaces, hats and costumes were made. Today, smart textiles can sense or react to environmental conditions (thermal, magnetic, etc. ), fabrics are made to regulate body temperature, release medication or moisturizer and, finally, some of them can change colour, light up or appear as a display. Have you ever left your home and immediately regretted the choice of colour of your clothes? This fashion problem could soon be a matter of past because a research team from the US has found a way of shifting colours and display data directly on the fabrics we wear every day. The technology, called the Ebb, offers a nuanced approach to the world of textile colours. American policy has made a shift towards innovations that will change and improve the quality of life, investing $317 million in Advanced Functional Fabrics of America (AFFOA). This technology will allow us to change the colour of the shirt and the logo on it. The Ebb comprises of conductive threads coated with thermochromic paint. When electricity passes through the threads, they heat up and gradually change from one colour to another. For the initial research project, the team used the smart thread to create seven different crocheted and woven fabric swatches. The research team with the lead researcher Laura Devendorf at California’s UC Berkeley in partnership with Google ATAP’s Project Jacquard made a huge breakthrough in the fashion industry. She wrote: “We coated conductive threads with thermochromic pigments and explored how we could leverage the geometries of weaving and crochet to create unique aesthetic effects and power efficiencies. Thermochromic pigments change colours in slow, subtle, and even ghostly ways, and when we weave them into fabrics, they create calming “animations” that move across the threads.” Laura continued, “The name “Ebb” reflects this slowness, as it conjures images of the ebb and flow of the tides rather than the rapid-fire changes we typically associate with light-emitting information displays.” By creating new dynamic, tech clothes, they have added a whole new purpose to designing clothes and accessories. For the first time in fashion history, CREOL, the College of Optics and Photonics at the University of Central Florida (UCF), has produced an active, user-controlled, hi-tech fabric that can change both colour and pattern with just one tap on the smartphone. Using a specially designed app, customers will be able to choose from a variety of colours and patterns and change to what suits them better. For women, it's really important to wear a bag that matches with the rest of the clothes. These researchers made it possible, so a purple bag will be able to gradually have blue stripes when a consumer presses the “stripe” button. Dr. Ayman Abouraddy, professor of optics and photonics at the College of Optics & Photonics at the University of Central Florida (CREOL), said that the epoch of user-controlled colour-changing clothes is here. He explained that “with ChroMorphous, each woven thread is equipped with a micro-wire and a colour-altering pigment. 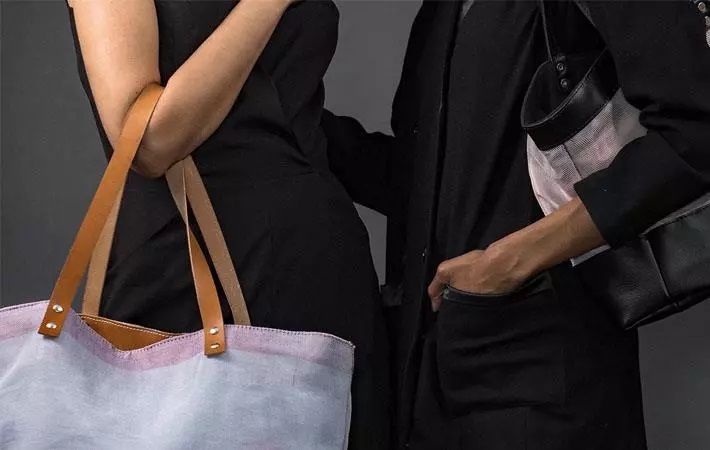 You can use your smartphone to change the colour or pattern of the fabric on demand, as the wire can alter the temperature of the fabric in a quick and uniform way. Change in temperature is barely noticeable by touch. Special pigments embedded in the thread then respond to this modification of temperature by changing its colour. Our goal is to bring this technology to the market to make an impact on the textile industry,” he also stated. 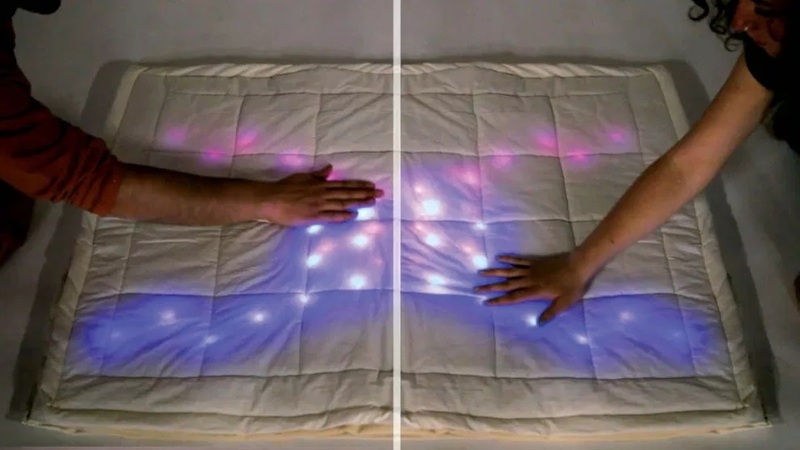 This colour changing fabrics are different from those containing LED lights, which only emit the lights of selective colours. Through various fabrication techniques, the research team has opened a wide range of possibilities for this new type of clothes. Quality of their work was also recognized at mass production levels, which resulted in a cooperation with Hills. They are ultimately trying to reduce the diameter of the threads to make it more accessible to consumers all over the world. But they didn't stop there, the ultimate goal is to produce fabrics which will be a part of our everyday clothes, accessories, furniture, housing and business decor. The fabric will have a rechargeable battery and could be washed and ironed.